The 13th edition of The New Indian Express Group’s Devi Awards will take place at the ITC Grand Chola Hotel in the city on Tuesday. CHENNAI: The 13th edition of The New Indian Express Group’s Devi Awards will take place at the ITC Grand Chola Hotel in the city on Tuesday. This is the first time the award ceremony takes place in Tamil Nadu. In this edition presented by Federal Bank, 10 women across sectors will receive the awards from Puducherry Lt Governor Kiran Bedi for excelling in their respective fields. The awardees will include an actress and an educationalist among others from the social sector and bureaucracy. These women are being honoured for transforming the country through their contributions and sparking positive societal change. 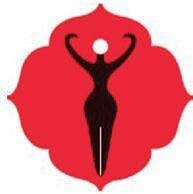 Since its inception, around 150 women have been bestowed with Devi awards.The Devi awards stem from The New Indian Express Group’s strong belief that women who display dynamism and innovation should receive their due recognition in the country. The awardees are from diverse fields such as sports, politics, entrepreneurship and social activism. As Union Home Minister Rajnath Singh rightly pointed out in the previous edition, ‘Devi’ means ‘Sakthi’ and these awards celebrate the ‘power’ these women have displayed and utilised for the betterment of the lives around them. In addition to blazing trails in their line of work, the awardees are picked for their commitment toward uplifting women, their ideas and encouraging the next generation of women to unapologetically leave their footprints in the sands of time. Previous awardees over the 12 editions include the likes of politician Poonam Mahajan, fashion designer Masaba Gupta, boxer Nikhat Zareen and Merchant Navy captain Radhika Menon.